Does your mouth water just thinking about a visit to New Mexico? As you ponder the many dining choices, consider this: restaurants are only part of the state’s exciting and diverse culinary landscape. A rapidly growing number of local artisans are producing tasty products you can pack in your suitcase and enjoy at home – and, in most cases, order online when you run out. Now here’s the part that might surprise you: since New Mexico is a melting pot of people and cultures, many of our local food and spirits artisans draw inspiration (and, in some cases, actually source ingredients) from around the globe. Columbian coffee, South African tea, balsamic vinegar, Laos chile paste, Mexican paletas, single-malt whiskey, and Moroccan bitters are all passionately made here in the Land of Enchantment. 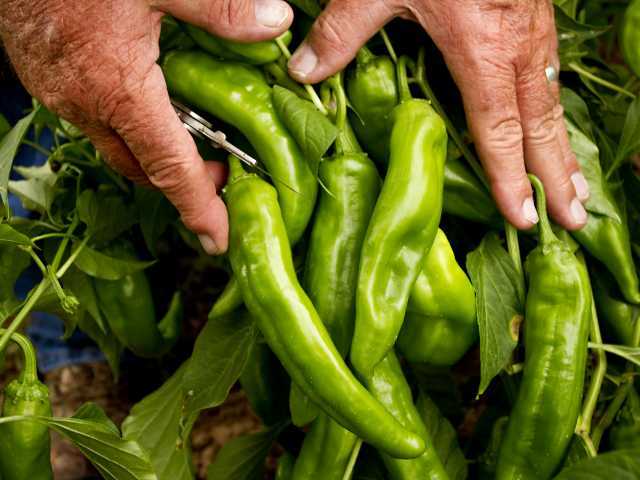 We also have traditional New Mexico products, like green chile sauce, that derive their one-of-a-kind taste from the local soil – and some marry cultures to create truly magical flavors. Albuquerque attorney Eddie Meintzer went to law school in his 40s – perhaps because he was so busy until then perfecting his barbeque sauce. The sauce came out so good, in fact, that his friends encouraged him to sell it commercially, and Eddie’s Savory Food Products was born. Now, grocery stores from Socorro to Santa Fe carry Eddie’s Savory BBQ Sauce, Green Chile BBQ Sauce, and Green Chile Sauce (available in only two flavors: hot and extra hot). “Our chiles are sourced from Rosales Farm in Lemitar, and they are very high quality – grown with no insecticides,” says Eddie, who, together with wife Diana, makes his sauces using a “proprietary process.” He says it’s the only green chile BBQ sauce on the market (although others have tried), and it goes well on just about anything, from your favorite meats to rice and beans. Your ham and cheese sandwiches and cheeseburgers may never be the same again. www.eddiessavoryfoodproducts.com; to order, call (505) 865-9702. Laos and Albuquerque are far apart, but Kinna Perez of Kinna’s Kitchen has bridged the gap with her Laos Chile Paste (regular and vegan), a recipe that has been in her family for four generations. Her husband, Manuel, grasped the paste’s uniqueness and market potential after eating it on sticky rice at his in-laws’ house in Albuquerque almost daily. “I was addicted to it,” he says. Manuel finally decided to try making it himself, buying all the ingredients in a local international market. “My wife tasted it, and said it came out good,” says Manuel. Within a short time, the two were in business. What makes this paste so good? Its fiery heat is balanced with just the right amount of organic cane juice and a subtle smokiness. Kinna’s Kitchen’s equally versatile Tamarind Chile Sauce and Mango Salsa (both vegan) can be used to flavor stir-fries, tamales, pesto sauces, ketchup, mayonnaise, and much more. Order them online or find them at local stores like Whole Foods, La Montanita Co-op, Keller’s Meat Market, and Talin Market.www.kinnas.net; (505) 228-7345. “Indulge, Repent, Repeat.” That’s the order given for Albuquerque-based Lusty Monk Mustards, so named because medieval monks were forbidden to eat mustard (believed to be an aphrodisiac), lest they call prey to carnal desires. Owners Steve and Kris Monteith’s belief that condiments should never be boring led them to create “the pretzel’s best friend, the cook’s secret weapon, and the perfect companion for lovers of spice and heat.” They expanded from North Carolina to Albuquerque four years ago, and now produce their fresh-ground, hand-crafted, small-batch mustard at the South Valley Economic Development Center, a commercial kitchen shared by many small local producers. Lusty Monk mustards are as fiery as they are flavorful; their Lusty Monk Original Sin and Burn in Hell Chipotle both took top Scovie Awards at the Fiery Foods and Barbeque Show in 2013 and 2014. Their mustards are sold at La Montanita Co-op, Whole Foods, and other stores in Santa Fe and Albuquerque, or you can order them online.www.lustymonk.com; (505) 975-6498. What happens when South African rooibos tea meets Hatch, NM red chile? Bill Zunkel pondered that two years ago when he created Tea Chileño, a unique beverage containing health properties indigenous to both the Northern and Southern Hemispheres. When Bill went to work in South African in 1970, he discovered rooibos, or “bush tea,” grown in the Western Cape, which has been drunk by native Bushmen since early times. It has no caffeine; is loaded with antioxidants, vitamins, and minerals; and has anti-inflammatory, anti-carcinogenic, and anti-viral properties. The chile kicks it up a notch – adding even more health benefits. Santa Fe visitors can find the tea in Kaune’s Neighborhood Market, The Chile Shop, the Santa Fe School of Cooking, and Hillside; it’s also available online at www.loschileros.com (look for Bush Fire Tea) and may soon be marketed across the U.S. and South Africa. www.teachileno.com; (505) 310-0920. Colin Keegan and his wife Suzette moved to Santa Fe in 1992, building their home on a mature apple orchard in Tesuque that produced more heirloom apples – and gallons of cider – than they could possibly use. When Colin, a fancier of good Scotch and brandy, closed his architectural business in 2009, an idea fermented: why not build a distillery? Santa Fe Spirits was the solution to both his career and what to do with all those apples. 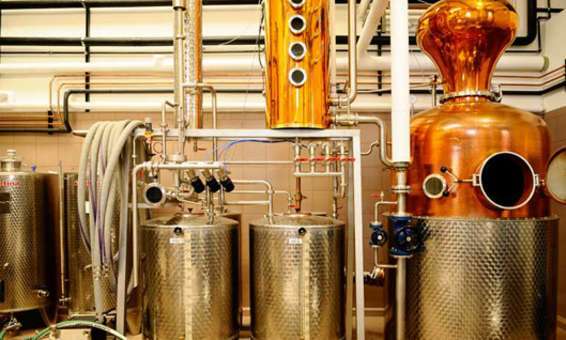 Four years later, the company produces a bar-stocking variety of artisanal spirits, each imparting the subtle flavors of the Southwest: Apple Brandy, Silver Coyote Malt Whiskey, Expedition Vodka, Wheeler’s Gin, and Colkegan Single Malt Whiskey. If the spirits moves you, you can tour the distillery off Airport Road and sample them in drinks like the “Whiskeyrita” in their new tasting room in downtown Santa Fe. They also are sold in local liquor and grocery stores and online.www.santafespirits.com; (505) 467-8892. Nearly 80 percent of all traditional, authentic balsamic vinegar comes from some 70 producers in Modena, Italy (a far cry from the inexpensive, fake imitations). Just a small percentage of artisanal New World producers make the real thing using traditional Italian methods. Steve and Jane Darland of rustic Monticello, NM, are part of an even more select group who grow their own organic grapes. Their Aceto Balsamico Traditionale of Monticello is dark, viscous, organic vinegar that has been lovingly hand-made, step-by-step – growing, pruning, picking, and blending the grapes; aging the vinegar in casks or barrels for a minimum of 12 years; bottling, and labeling. Their vinegar is considered by many to be the best outside of Italy. You’ll pay $150 for 4.5-oz. bottle, but when you taste it, you’ll understand why. Available online and at the Farm Shop at Los Poblanos in Los Ranchos de Albuquerque. www.organicbalsamic.com;info@organicbalsamic.com. David and Juan Certain grew up in Columbia, spending much of their time in the fields of their grandfather’s coffee plantation, Villa Myriam. Their grandfather imparted the love and care that goes into making great coffee, treating employees fairly, and taking care of the land that sustains them. “When we moved to Albuquerque in 1999,” says David, “we looked for a way to bring that coffee over here. We ended up importing it directly from the plantation, and roasting here.” Their Villa Myriam Specialty Coffee maintains those high standards: it is Rainforest Alliance-certified and is made without pesticides or chemicals. You can enjoy a cup as you watch David roasting thebeans at 2420 Midtown Place NE and meet Juan at The Brew, their new coffee shop at 311 Gold St. The beans also are sold in many local stores and online, and a monthly subscription service is planned so you never have to run out of that good Columbian caffeine.www.villamyriam.com; (800) 609-0250. While tending bar in Santa Fe, newbie bartender Bill York became intrigued with using bitters to flavor his cocktails. “I started playing around and developing my own recipes, and discovered a formula that was different than anything out there,” he says. Super-concentrated, intensely flavored, The Bitter End bitters come in unconventional flavors, each with a kick: Chesapeake Bay, Curry, Jamaican Jerk, Memphis BBQ, Mexican Mole, Moroccan, and Thai. Bill uses ingredients such as fresh and dried spices, herbs, fruits, chiles, and other aromatic botanicals, and each batch is mixed, infused, and dispensed by hand. The Bitter End bitters are sold worldwide and online (where you can also find recipes); locally, you can find them at Susan’s Fine Wine & Spirits in Santa Fe. www.bitterendbitters.com; info@bitterendbitters.com. Taos beekeeper Jason Goodhue feels called to his profession as “a steward of the bees and the land.” The owner of Taos Valley Honey is dedicated to the community, sustainability, and the maintenance of happy, healthy, genetically diverse bees to pollinate crops. His delicious honey reflects his understanding of his bees’ well-being: “I can tell by the smell of the hive how they are doing,” he says. “It’s different at different times of the year.” You can find the by-product of Jason’s contented bees at Cid’s Food Market, the Taos Pharmacy, and the Taos Farmers’ Market.www.taosvalleyhoney.com; taosvalleyhoney@inbox.com; (575) 770-5953. For information on additional New Mexico-made products, visit www.deliciousnm.com, an organization that supports family food businesses and entrepreneurs throughout the state.